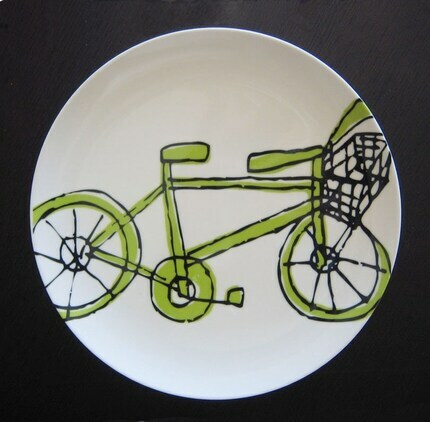 Next time you have guests over for a picnic or BBQ, why not ditch the paper plates and serve in style with these awesome Melamine Bicycle Plates from Little Korboose. The bicycle design is available in several colors including purple, pink, orange and green. Or if you're in search of a birthday gift, pair a couple of these plates up with this card from Skeese Greets.